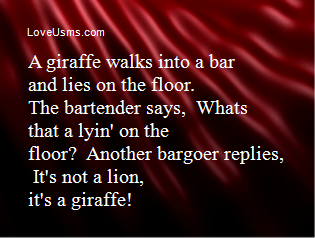 A giraffe walks into a bar and lies on the floor. The bartender says, "Whats that a lyin' on the floor?" Another bargoer replies, "It's not a lion, it's a giraffe!"